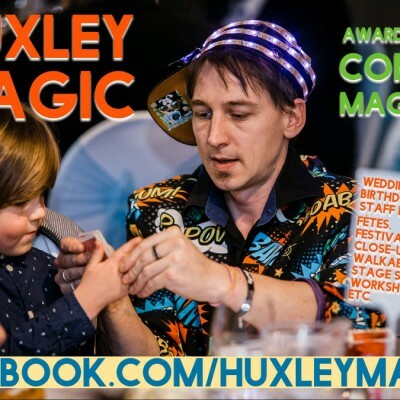 Huxley is the award winning IOW comedy magician who is officially ‘Nearly’ the best in southern England. Scrapbot Battles started when he saw the Hebocon Video and decided to run the First World IOW Scrapbot Battle Championships. Like Robot wars, only these bots are LO-TECH (sometimes NO-TECH!). All the Bots are made from reused, recycled or upcycled toys, r/c cars, battery powered items etc. Bots ‘wrestle’ Sumo style until there is one bot left standing. They also do tug of war, racing, and Skittles. He has 10 Battle bots that are already constructed and can be decorated at the beginning of the session to fit with a chosen colour and theme. The kids then get to battle it out!